We’re all familiar with slingshots: Y-shaped weapons and a rubber strips attached to both points which launch projectiles. 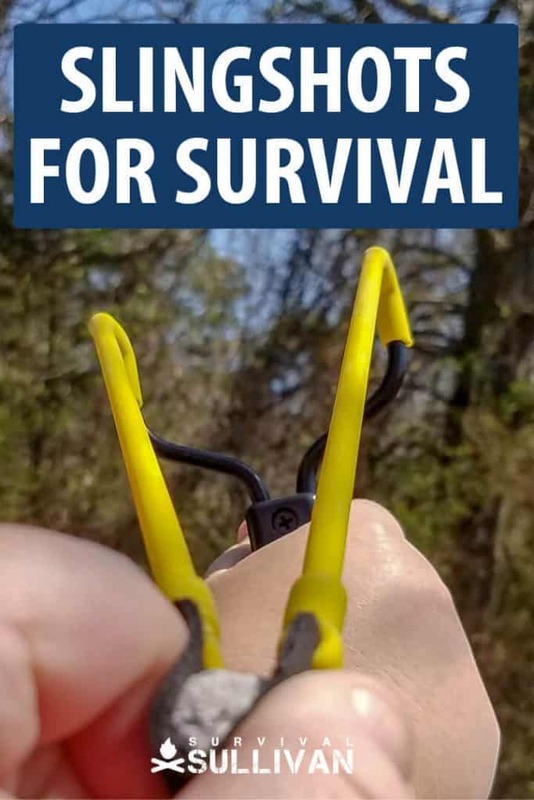 While some see them as a toy rather than useful survival tools, the truth is that the slingshot can be one of the most versatile and effective weapons in your arsenal if you do two things: know what to use it for and know how to use it. 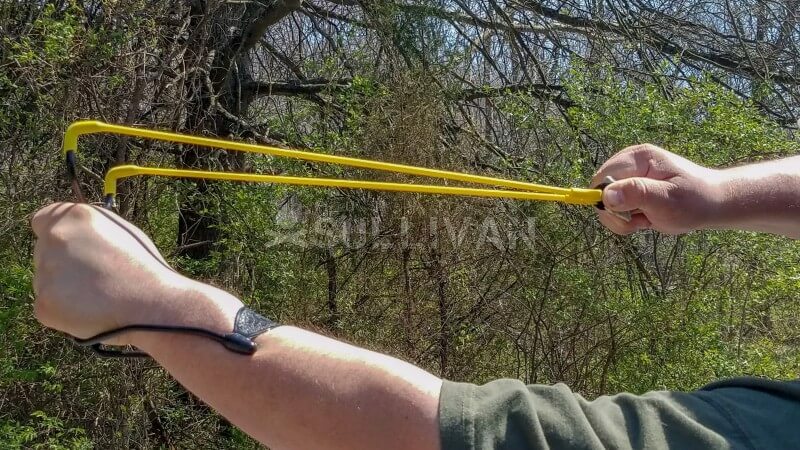 In this article, we are going to cover the advantages and disadvantages to using a survival slingshot, the uses a slingshot can serve you in a survival scenario, and then the qualities to look for in a slingshot. Slingshots have been used by man for thousands of years. In the past, they were little more than strips of leather tied with string to Y-shaped sticks and pebbles as the ammunition. The slingshots of today are made of more advanced materials, but the principle remains the same. Easily the biggest advantage to the slingshot is how ammunition is virtually unlimited for it. While manufacturers who make slingshots also sell special ammo for it, the truth is that you can still easily use ordinary stones and pebbles that you find on the ground. This means that, in a survival situation, you can never run out of ammo. Another advantage to the slingshot is the size and weight of it. Slingshots are extremely small and compact, and advanced models can even fold down so that they become smaller. Most slingshots also weigh only a pound or less. 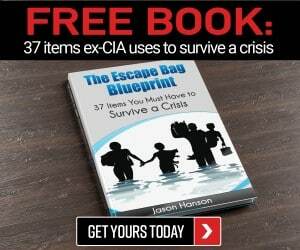 You can easily stow one in your bug out bag or survival pack without it adding much weight. Finally, another advantage to the slingshot is how silent it is. You can fire and reload a slingshot quickly and with virtually no sound being made at all. This contrasts heavily with firearms, and to a lesser degree with crossbows, which also make noise when being fired. However, slingshots do not come without their disadvantages. For one thing, they are a short- range weapon. With practice, you can shoot a slingshot accurately, but your overall range is still going to be moderate to short at best. If you want to be able to hit targets silently at longer distances, a bow is a better option. Another disadvantage to the slingshot is that it has lower kinetic energy than some other weapons. The slingshot still has the killing capacity at close range, but the longer the range, the less damage it will inflict. Overall, though, the slingshot is still a very useful survival weapon, and if you treat it as a close range weapon and practice with it, it will not let you down. We’ve already established how compact and lightweight they are, making them great additions to your bug out bag and INCH bags. Since ammunition is easily scavenged from virtually anywhere, another great advantage to the slingshot is that you don’t even need to carry your ammo with you. Almost any rock or pebble that you find on the ground will work well enough in a slingshot. Smooth stones and pebbles will fly faster and longer, find these kinds of stones in creeks or riverbeds. 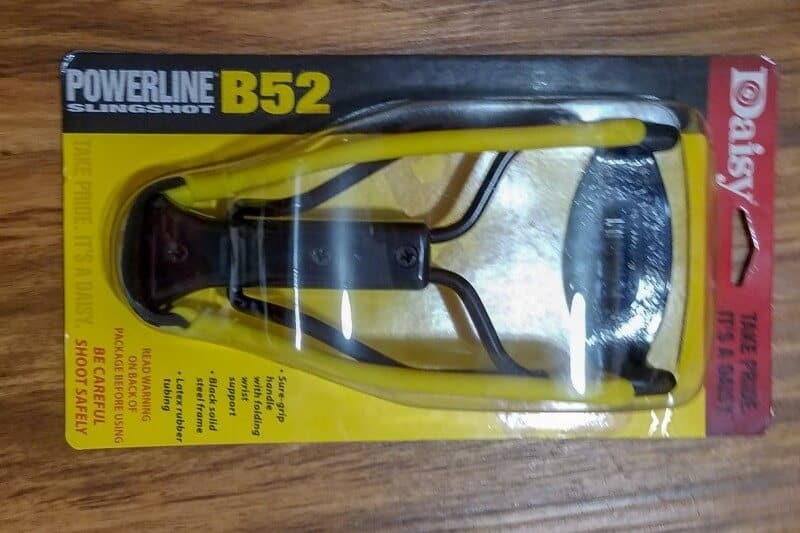 The two best uses for a slingshot in a survival situation are for self-defense and hunting. Don’t think of the slingshot as being a meaningless weapon in a self-defense situation. On the contrary, it could save your life against both an aggressive person or a hungry animal if you know how to use it and know where to aim. The small size of the slingshot means you can keep it concealed on your person until you need to use it. When you do need to use it, you can use any small stone you pick up on the ground for a projectile and then launch it against the target. Remember the limitations of the slingshot: it is a close-range weapon. Don’t think you can make an effective hit against a human or an animal charging you from 50 feet away. But when your attacker is within an effective range say thirty to fifty feet away, you should easily be able to make a hit to their face or any other vital region that stops them dead in their tracks. The slingshot is even more useful for hunting. Again, it’s imperative that you are fully aware of the limitations of the slingshot, but it’s just as important to know its capabilities. Don’t listen to anyone who laughs at the slingshot as hunting gear. The best hunting gear is the one that puts food in your stomach when the world descends into chaos. It will easily be able to kill any small game, such as squirrels or birds, at distances of thirty to fifty feet. The slingshot is not a suitable hunting weapon for taking down larger game, use a bow or crossbow instead. But for small game, a slingshot will be everything that you need to help keep your stomach full during a survival situation. Up until now, we have learned about the advantages and disadvantages of the slingshot, as while as the uses for it in a true survival situation. Now we’re going to learn about the qualities to look for in a slingshot. The first quality to review is the durability of the frame. The material the slingshot is made from determines the durability of the frame. There are currently three primary materials for a slingshot: plastic, wood, and metal. Out of these three, metal is by far the strongest and most durable. Aluminum and steel will both be great options (Aluminum will be lighter while steel is slightly stronger). Most slingshot companies will also add a foam handle to the metal to enhance its ergonomics. Wood is by far the most classic option for a frame material, but it lacks the durability of steel or aluminum. Plastic is the cheapest, and while some materials such as a glass filled nylon will be stronger than other kinds of plastics, a metal material is still your best bet. The strength of the slingshot band is the next factor to consider. There are two primary options available for slingshot bands: rubber tubing and flat bands. In a comparison of the two bands, rubber tubing lasts longer but flat bands have more accuracy. When choosing band strength, consider how you will be using your slingshot. If you want your slingshot to last you for as long as possible, a model with rubber tubes will work better. There are also many different sizes of tubes that either increase or decrease the draw weight. At the same time, flat band slingshots are more accurate. Flat bands are easier to draw back, and they can produce a faster projectile speed. For self-defense purposes, therefore, the flat band as a survival slingshot is the better option. Both flat band slingshots and rubber tubes are sold for roughly the same price, so you won’t need to factor that into your consideration. 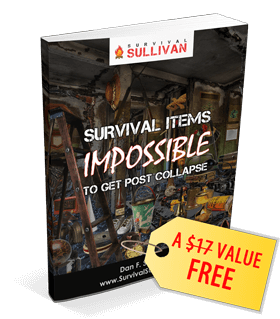 Focus more on how you will be using your survival slingshot. For a hunting slingshot that you can use repeatedly, go with a rubber tube model. For a slingshot intended predominately for self-defense, go with the flat band. A comfortable grip is a critical feature in any slingshot, but it’s also a feature that many people overlook. Regardless of the type of slingshot that you go with, it should have a comfortable grip. Not only is a comfortable grip essential for your overall enjoyment in shooting the slingshot, but it’s also necessary to reduce overall wrist and hand fatigue. Accuracy can be impacted negatively if your hand or wrist grows tired too quickly. As an alternative to buying a slingshot on the marketplace, you can always make a DIY slingshot that meets these qualities as well. 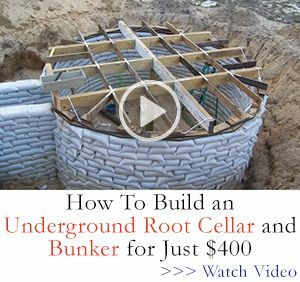 This video will provide you with a visual demonstration of how to do so. All in all, the slingshot is a very versatile survival tool that can be used easily by anyone of either gender or any age. They will especially be an advantage to survivalists who dislike firearms or those who desire an effective self-defense and hunting weapon that is both compact and noiseless. What’s important to remember is that you can only become skillful with the slingshot if you practice with it extensively. The old saying goes that ‘practice makes perfect’ and that applies to slingshots as well. Don’t believe that just because the slingshot is a simple weapon that you will instinctively become skilled with it on your first use of it. You need to take your time to develop your skills with it instead, and that means practicing with different kinds of projectiles and at different ranges. Even if you don’t want the slingshot to be your primary survival weapon, it still deserves a place in your bug out bag due to its simplicity, versatility, and small size. Think of it this way, at the very least; you can use one for fun to pass the time. 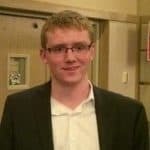 Good practical sense videos and article! I can verify how effective a slingshot is for foraging wilderness food. As you say there is an unlimited supply of ammo variation. Steel wheel bearings work great, as do home cast lead wheel weight balls. I spent whole summers over last thirty-five years in the North Cascade wilderness. A variety of small game and birds get very close if you remain quietly calm. I own a regular slingshot and wrist brace one, what I need is replacement pockets maybe made from Kevlar since the pockets as purchased are thin split leather that will last about a dozen shots. Use the tongues out of old shoes, they seem to last forever, when we were kids and didn’t have access to a lot of things we would use them …. Sir, the research on this topic needs some vetting. The first two sentences are incorrect. Sling shots need a stretchy band…like the old inner tubes we used as kids..rubber wasn’t used “thousands of years” ago. It wasn’t even patented until 1860. Prior to that folks without guns used slings, not slingshots. Now slings would make another excellent article…I’d be interested in what you find out about those. Rocks and stones are very inaccurate , I use marbles and have a .36 caliber and a .41 caliber black powder bullet molds . The lead balls are deadly , treat them like a gun. Definitely not a toy . I lived in the country as a child. I had several high quality slingshots. The accuracy with a slingshot is poor. A plain stone will not fly straight. Flat stones will do a corkscrew flight path that a baseball pitcher would kill for. A round rock from a river will work. I also used defective 1/4 inch ball bearings. They worked well for accuracy at close range. Because of the pull on your arm and slow speed of the rock or pellet, movement of your arm after release will effect accuracy. As an adult I used a Gamo air rifle shooting 0.177″ pellets. It had a 4 power scope. I used it to kill squirrels in my suburban backyard. It was deadly accurate. Put cross hairs on squirrels head and pop he drops out of the tree. The neighbors never see or hear anything. I would vote against a slingshot. It takes more practice than a gun. A pistol or a rifle with a scope is accurate even for a beginner. An experienced shooter will of course do much, much better. A small light weight pistol would be better than a slingshot. If you are in a forest or a farm field, you will not find nice round rocks for a slingshot. If you are at a river with lots of round stones, you would be better off fishing with fish hooks. Fish hooks weigh even less than a slingshot.